Former Northern Ireland international Paddy McCourt will be part of the Dundalk squad, for tonight’s pre-season friendly at his old club Glenavon. Only a few months ago the talented winger came to a mutual agreement to terminate his contract with Gary Hamilton’s side after just 13 appearances for the Lurgan Blues men. 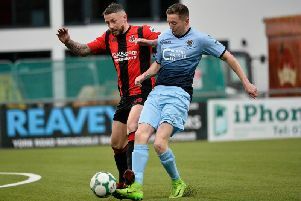 In recent weeks the 33-year-old has been training with Stephen Kenny’s title winning squad, as he tries to earn himself a contract ahead of the 2017 season.